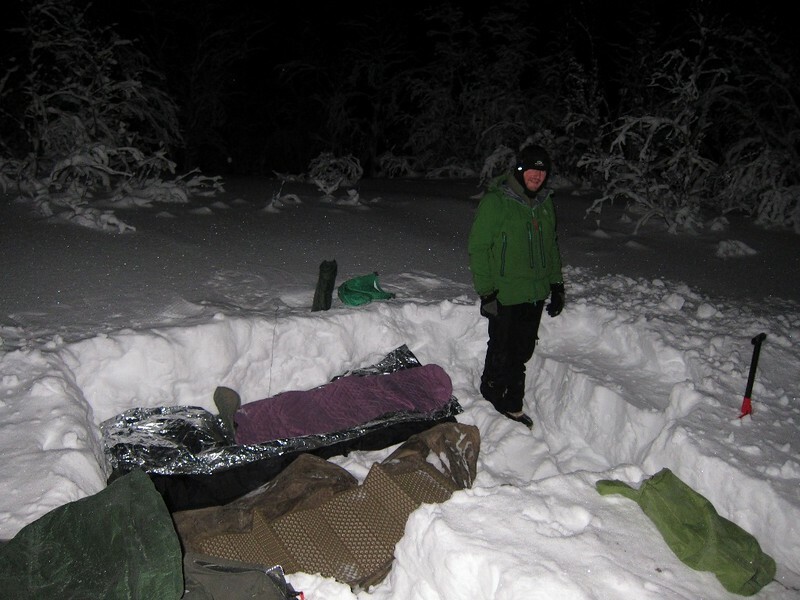 Temp range : Cycled and camping -5 to -30 in Sweden, Norway and Finland mid Jan to early Feb usually 4-5 nights between going indoors to dry again. 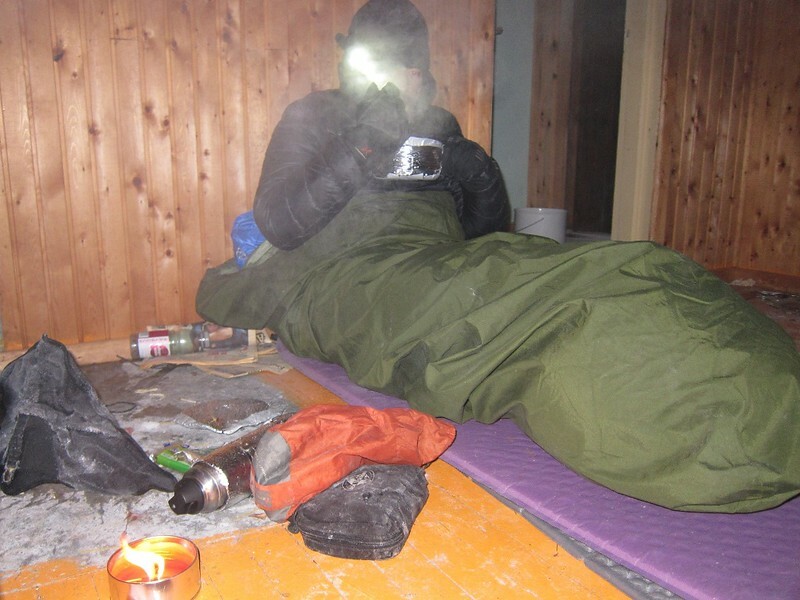 The sleeping bag was used inside a Goretex bivvy bag and a moisture/vapour barrier liner was used on the inside. Overall impression : A very nice lightweight bag, spacious and well built. 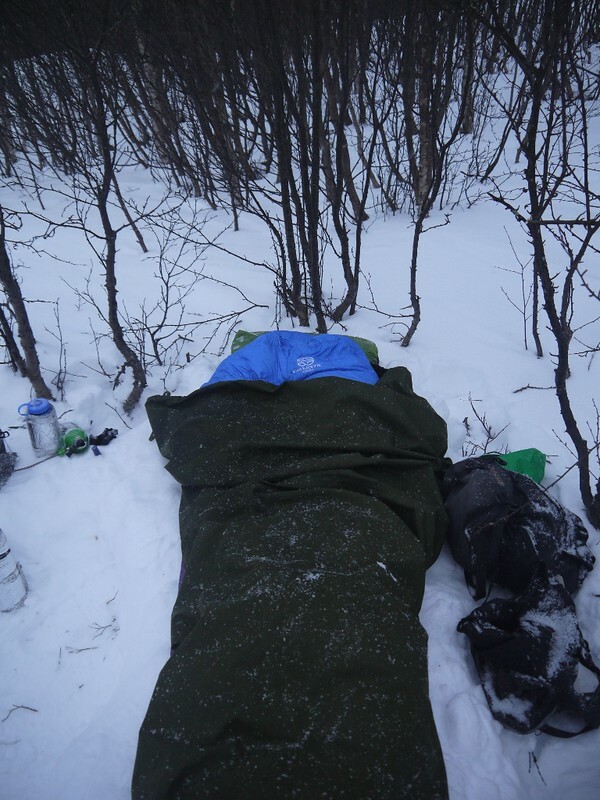 Warmth : Generally I was warm enough in the sleeping bag, often too warm. But I think the -32 rating is a little ambitious, the few nights it was close to -30 I was quite uncomfortable despite sleeping in base layer ( See comments for an update). 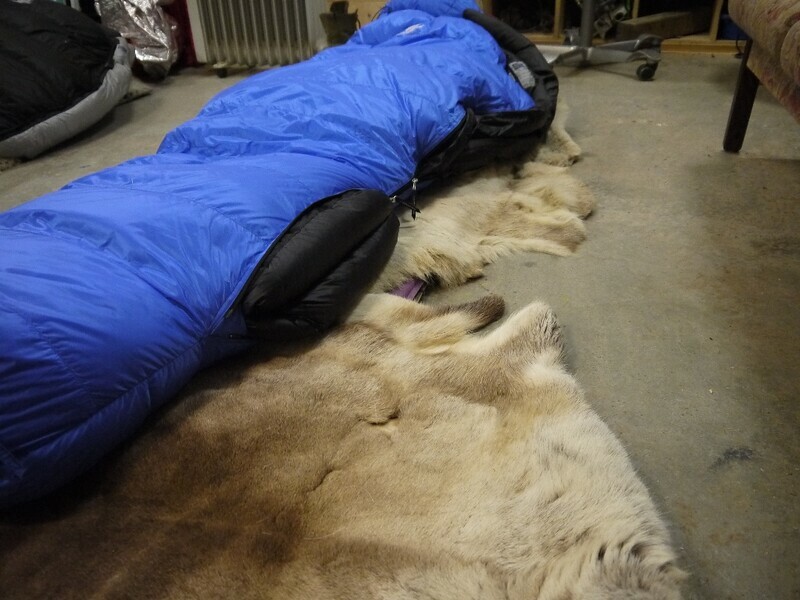 Comfort/size : The sleeping bag was a good fit on my standard sized body (184cm, 85kg) With enough room for some clothing and other items inside the bag to stop them freezing. The hood and collar fit well though the Velcro often didn’t hold in the night so I would have to reattach it. Packing and storing : Naturally its quite a big bundle of sleeping bag but I can still fit it and a bivvy in my front pannier so I’m happy. The stuff sack that it comes with is almost impossible to use at low temperatures. The stuff sack is just too small when trying to pack the sleeping bag at -20 with gloves on. Luckily I had an extra dry bag I could use. The hanging loops are great for drying on a coat hanger on days off as is the storage bag for use at home (nice little extras). Zip : Good to see that these bags have the anti snag strips near the zips. The zips worked fine throughout the trip. General appearance : The Cumulus sleeping bags look the part and now that the Logo is sewn instead of stickers(which pealed of with time on my other Cumulus bag) they look even better. Generally I’m just as happy with this sleeping bag as my others from Cumulus: The price/quality/weight/durability ratio is perfect and the customer service is great. Though you don’t get the one click shopping of a webshop or rush hour traffic getting to a good outdoor shop, its nice to chat via email with people who know what they are talking about and believe in their product. . . . If it was only getting cold at -30C then that’s really good because the comfort temp is only rated -16C and I’ve been cold at comfort temps before. -30C is below even their stated limit temp. Either you’re a very warm sleeper or their rating system is quite conservative. Hi, its difficult to say as I was also using a vapour barrier liner and goretex bivvy at the time too, I have no idea what for effect they have on the range, But obviously the extra 2 layers and creation of a micro environment will add a few degrees. I used the bag just after it came out and I have a feeling they lowered their rating later, but I can’t be sure :).